It’s a precious time when your children believe in fairies and fantasies, it’s also it’s about protecting their innocence, says our parenting blogger Meg Faure. It’s 3 am and you wake in a cold sweat, not because your baby is due for a feed or because you’ve heard a noise – there is something vital you have forgotten! 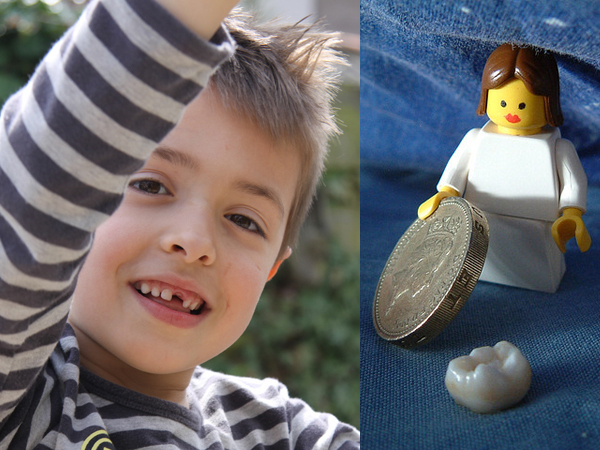 Oh yes – you have forgotten to take the tooth from your 7-year-old’s slipper and replace it with the money! Stumbling through the dark, trying not to set the alarm off, you finally find some coins and with the stealth of 007, make the swap. I got to wondering about this part of parenting – the vigilant guarding of the Tooth Fairy, Father Christmas and Easter Bunny fantasies. What is this about? I think it’s about the innocence of our little ones – those guileless years when the world is safe, life is fun and there is not a care in the world. These are precious years. When your child loses belief in these fantasies it says so much more than they are simply growing up – it says that soon they will see that the world is not all bunnies, fairies and gifts. An old man with a beard is not necessarily a friendly soul bearing gifts, he may be a danger or bring with him trauma. We yearn for our baby’s innocence to be untouched and for our little ones to always feel safe. Somehow the step from realising the tooth fairy doesn’t exist to realising the world can be threatening out there, seems too small. It’s hard being a parent and probably one of the biggest tasks we have is to protect our little ones. I guess the lesson is to guard your child’s innocence but also to give her the tools to cope, to be resilient when the bubble bursts and she is let down. Meg is an occupational therapist with a special interest in treating fussy babies and those with sleep problems. She brought the Baby Sense brand to life in 2005 and is the owner of the company Baby Sense, for which she develops innovative baby products. Meg co-authored the bestsellers Baby Sense (published in 2002, new edition 2010) and Sleep Sense (published in 2007) with Sister Ann Richardson. She wrote Feeding Sense (published in 2010) with dietician Kath Megaw and Dr Simon Strachan, and her fourth book, Your Sensory Baby, was published in May 2011. Meg has also developed a collection of innovative Baby Sense products based on her Sensible Sensory Parenting principles outlined in her books.